Building electric vehicles is one thing, but how quickly and easily you can recharge the batteries is one of the biggest issues that determine their success or failure. The possibility of new technology and how the market will react to various options, means that the future is still not entirely clear and could change with major development breakthroughs. We have come some way. When we tested the first Mitsubishi i-Miev in 2010 we had to provide proof that we had 15 amp power point at home to link to their adaptor. But now many electric vehicles can use a home power point at one end of their charging cable but this is only for a slow charge. Slow charging is not necessarily a problem. 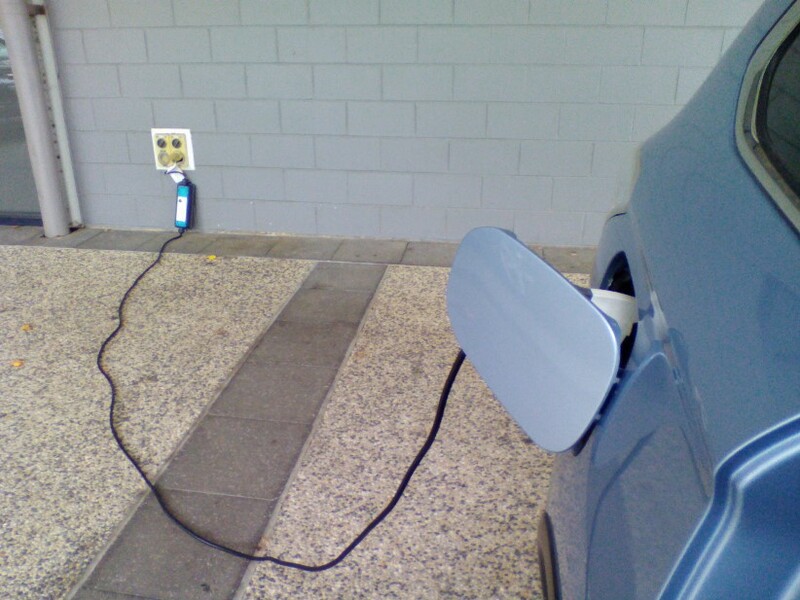 On average, cars in urban areas do not travel great distances and are often suited to just charging at home or work. These type of trips might also be good for fleet vehicles that operated within a known area and returned to the depot regularly but range anxiety is still an issue. But there is clearly a customer preference for having fast charging options available not only for convenience but also for peace of mind. Tesla provide a Wall Connector when you purchase a car new to fit at home. You will need an electrician to fit it which Tesla estimates this to costs to range from $1,000 to $2,000. With their system you can get 81 kilometres of range for every hour you are charging. Tesla has also provided fast charges at their dealerships and initially offered free charging (at their locations) for the life of the car. Not many years ago Tesla’s strategy in China appeared to be stumbling but they have recently achieved significant growth with a focus on providing charging stations for consumers at a variety of locations. Really fast charging is not without its difficulties. Two years ago Porsche said they were developing a super-fast charger as part of the Porsche Mission E concept . They installed a 350 kilowatt, 800-volt charging station at their branch office in Berlin-Adlershof which can recharge a car to 80% capacity in 15 minutes. But the huge power going through the cable, generates so much heat that the line has to be liquid cooled. Major companies have formed an organisation CharIN e. V. to develop and establish the Combined Charging System (CCS) as the standard for charging battery-powered electric vehicles of all kinds. It also aims to draw up requirements for the evolution of charging-related standards (e.g. inductive and pantograph connection). Induction charging means you don’t have to plug anything in. Work is being done for systems to be instilled in your garage or parking spot but Renault, working with Qualcomm Technologies and Vedecom, has demonstrated its Dynamic electric vehicle charging (DEVC) which will allow you to get some charge as you drive over a section of road. Engineers are looking at power poles as charging stations and Siemens (and others) want to power electric trucks with overhead lines. How will the market take to these various systems? Oxford in the UK is implementing a trial scheme of approximately 100 electric vehicle charging stations in residential streets – using six different charging technologies. Charging at home, at work or at locations along the road opens up the opportunity for vehicle manufacturers to provide other powered services. And the new kids on the block like Tesla are leading the way for providing individuals and companies with vehicles, charging devices, power generation systems and batteries because their is no legacy to fossil fuels.